Householders in Portadown have been urged to be alert after two incidents yesterday (Tuesday) involving bogus callers and doorstep sellers. 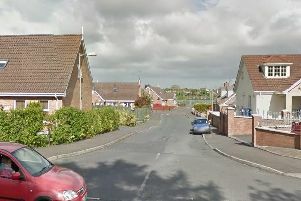 In the first incident two male youths called to a house in Keelmount Grange, selling kitchen knives. One of the males asked the occupant if there was anyone else at home and she found this suspicious. The two youths were described as having short, dark hair and were wearing dark coats. In the second incident a man called to a house in Princess Way, claiming to collect on behalf of Unicef. Enquiries with Quickcheck found that they were unaware of any collections in the area on that date. Police are currently investigating these incidents and do not want anyone else to fall prey to this type of crime. Crime prevention officer, Michelle Wilson, said, “Rogue traders and bogus callers depend on the good and trusting nature of their victims. It is really important that you remain vigilant and look out for neighbours and particularly older people in your community. If you notice people or vehicles acting suspiciously note down any important details such as a description or car registration and contact police immediately. “Quickcheck is another handy tool you can use. The Quickcheck freephone number is 0800 013 22 90 and you can simply call this number to verify the individual identity of a caller at your door if they claim to be from an organisation.